The book of the month is an oldie but a goodie. 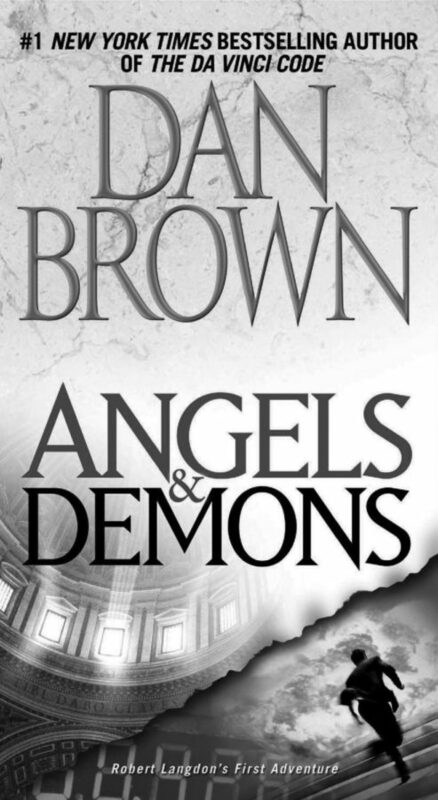 Angels and Demons was released by bestselling author Dan Brown in 2000 and is meant to be the first book in a series that follows Harvard professor Robert Langdon. You may be more familiar with the second book in the series, the Da Vinci Code. Angels and Demons is a thrilling tale of mystery, suspense, and just a hint of romance. Dan Brown’s sharp wit and ability to intertwine history and fiction will ensnare readers right from the start. Robert Langdon is summoned to the world’s leading scientific research company in Switzerland and is met with the gruesome scene of a murdered scientist with an odd symbol branded on his chest. Upon further examination, Langdon discovers evidence that leads to something once thought forgotten—a connection to the Illuminati. The Illuminati is a secret brotherhood dedicated to science and enlightenment and has a deep vendetta against the Catholic Church. Things get turned upside down when an Illuminati messenger announces that they have a bomb at the heart of Vatican City, and on the day of the holy conclave, no less. Langdon is rushed to Rome to aid in the search for this bomb and must join forces with Vittoria Vetra, a mysterious Italian scientist. Langdon and Vetra’s skills and patience are put to the test as they follow an ancient trail of clues across Rome, are tailed by dangerous foes, and discover a long-buried sinister history, as the war between religion and science rages on in the shadows.